It doesn’t matter how many times I go to Walt Disney World, I still find something new and exciting to do and see. We have several “tried and true” hidden gems or “old faithfuls” we like to experience every single time we visit Walt Disney World. 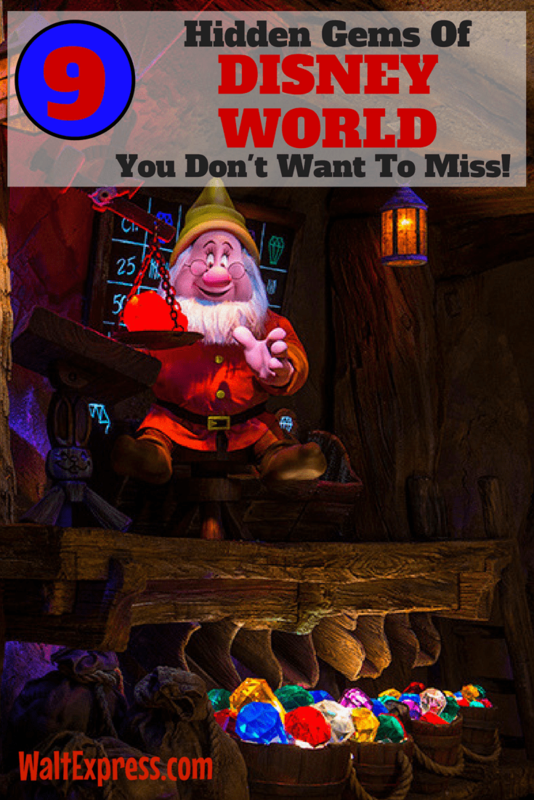 Here are a few we can’t live with out in 9 Hidden Gems of Disney World You Do Not Want To Miss! I had to start off with the Harmony Barber Shop. This is truly a hidden gem! The Harmony Barber Shop is a must-do for our family almost every time we visit the Magic Kingdom! You can read all about it right HERE! Check it out! 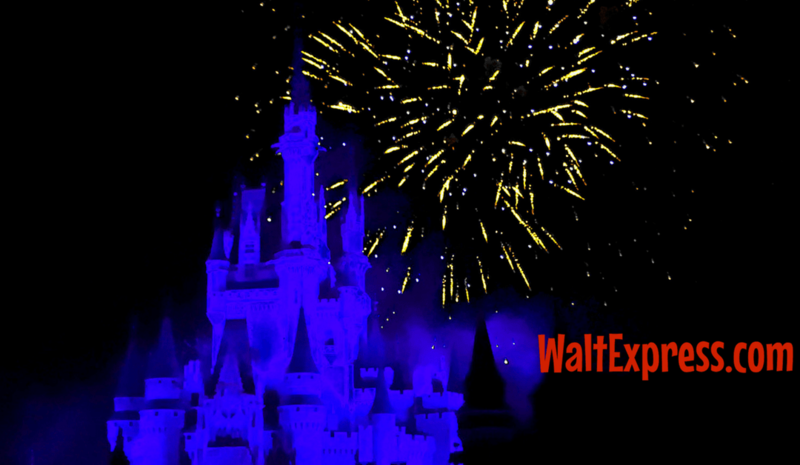 This is a magical display of lights that travels from the Seven Seas Lagoon to Bay Lake. Check out the times of showings before you make plans! 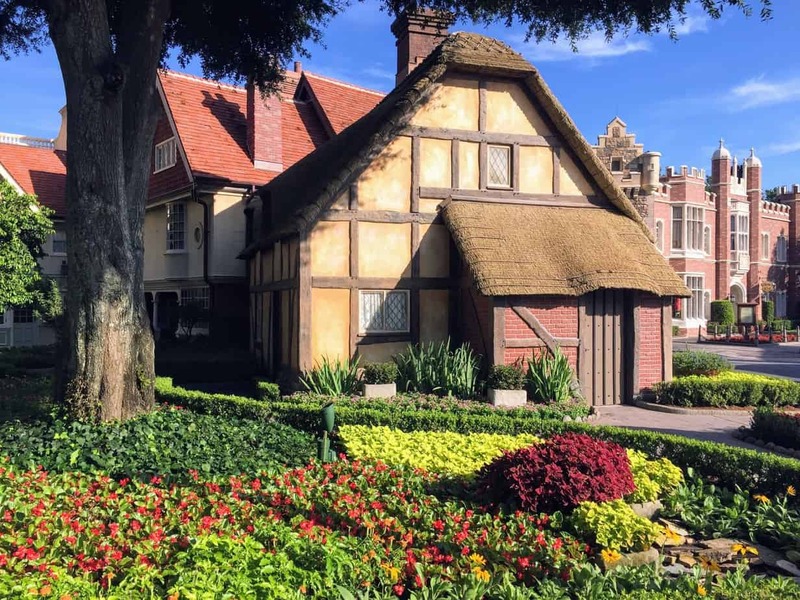 I have written a-many-of-articles about Epcot, I love Epcot! I couldn’t just pin down a couple of things, so I just threw in the whole thing!!!! The World Showcase may not be a hidden gem, but it has many hidden gems inside of it. I find something new every time we go. From watching all of the shows, street bands, performers and different foods each country has to offer, it is truly a hidden gem! Divine is a street performer only found in Animal Kingdom. She is very easy to miss at times, she sometimes hides in the bushes and trees. But, when you do finally see her, you see her elegance and grace out shines them all. She is a stilt walker covered in vines and face paint that blends into the landscape around her. She usually has a crowd around her, so watch out for the crowd or you can grab a Times Guide at the front of the park for her performance times. I know everyone likes to gather around the castle for the fireworks but, I know that is not for everyone. Although you do need to experience the fireworks from Main Street U.S.A. at least once, the Polynesian and the Grand Floridian hold a close candle to the actual castle fireworks. 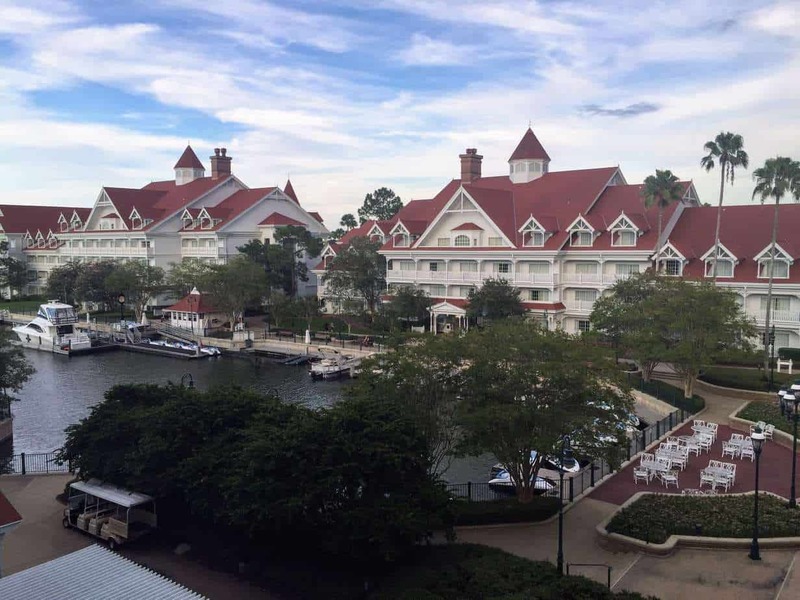 Try snagging a dining reservation at one of the fantastic restaurants that the Grand Floridian and the Polynesian have to offer, then head out to watch the fireworks when your belly is full and you are ready to relax. This place is so much fun! Yehaa Bob puts on a great show while you sit and have a drink at the bar of Disney’s Port Orleans Resort – Riverside. You can hear him all around the lobby and gift shop area near by, which is great if you get there too late and can’t find a seat. Also, don’t worry about his performance not being G-rated since it is a watering hole. No need to worry at all, kids are more than welcome. They would actually enjoy it if they are awake! He is only currently there at certain times. Get more info on Yahaa Bob right here! Most all of the resorts on WDW property have Movie Nights Under the Stars. This is always a hidden gem my daughter and I love. One time we were able to watch Secret of the Wings under the stars in January. It wasn’t too cold and definitely wasn’t hot. Perfect! Memory we will never forget! Check your resort for a movie schedule! This is pure magic! I mean, what kid (or grown-up) doesn’t want to be the ONE to pull the sword from the stone! This treat is usually done once a day in Fantasyland and sometimes a “show” will take place. 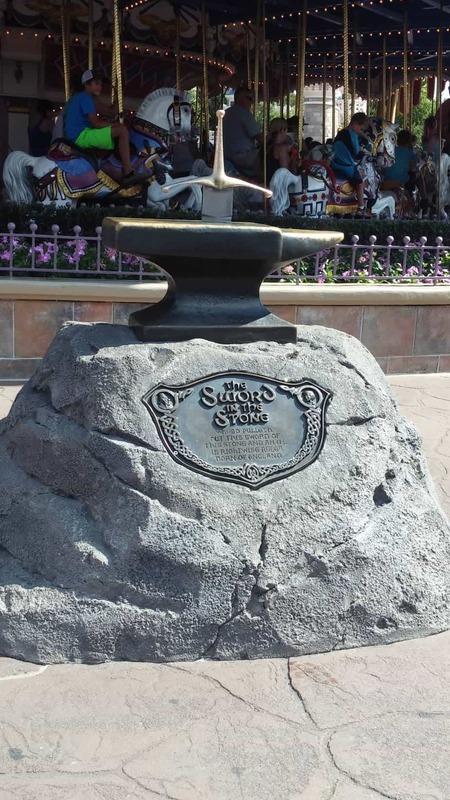 It has been rumored that if you are the lucky one to pull the sword from the stone, a celebration treat is in order! Although this is not listed or advertised, you can find the sword and stone in front of Prince Charming’s Regal Carousel! 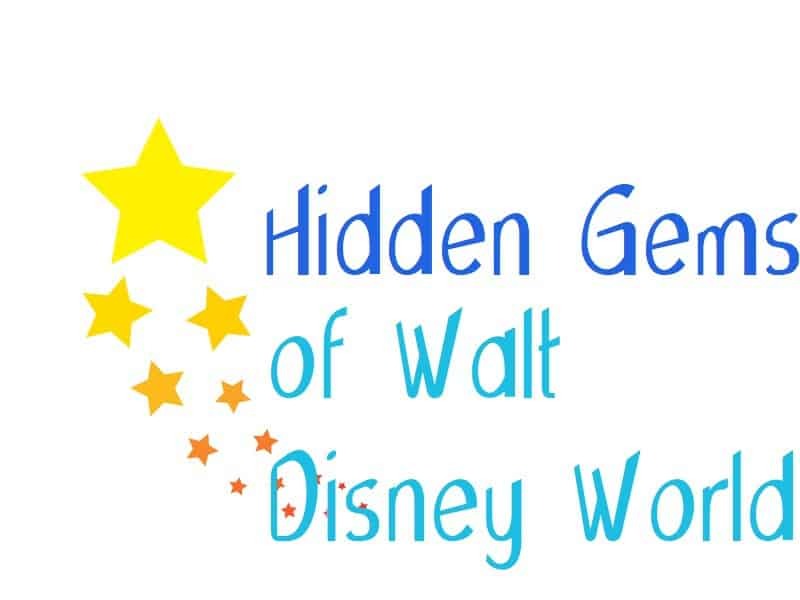 Those are just a few hidden gems I love and my list grows and changes almost every time I go to Walt Disney World, so I’m sure it’s not the last post I will write. What are some hidden gems of yours at Walt Disney World? I would love to hear and try something new next time! Please leave a comment!